MainAll NewsInside IsraelWhere did Lapid really serve in the IDF? Where did Lapid really serve in the IDF? Amid inconsistencies about his IDF service record, Lapid insists he was drafted into the Air Defense Command before leaving due to asthma. 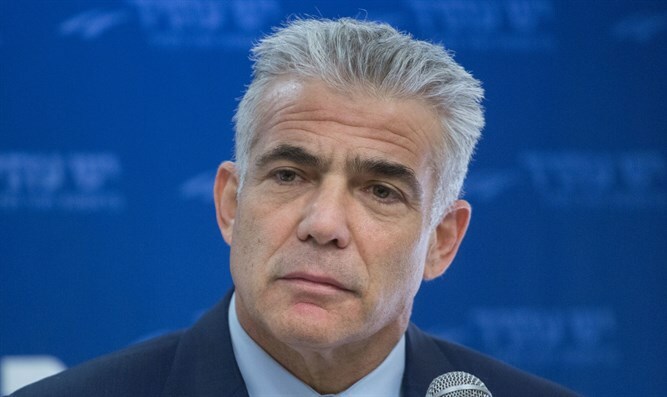 Yesh Atid Chairman Yair Lapid responded to speculation about his IDF service Thursday, telling Army Radio that he had been drafted to the IDF's Air Defense Command at the beginning of his service, before transferring to the army's Bemahane newspaper after suffering an asthma attack. Lapid's IDF service had drawn scrutiny after observers noted mounting inconsistencies regarding which unit Lapid had initially served in. In one speech, Lapid had told a story about drafting to the Armored Corps before transferring to Bemahane after suffering an asthma attack caused by a helicopter's rotor blades in Lebanon. However, Lapid had also written on Facebook in 2014 that he had drafted to the Air Defense Corps. The issue received renewed attention after popular comedian Lior Schleien used Lapid's contradictory statements about his military service to allege that Lapid is "a lying, two-faced actor" in his Gav Hauma satire show on Saturday night. Schleien's monologue went viral, racking up more than 250,000 views since the segment was aired. In January Yesh Atid member and former Shin Bet head Yaakov Peri was forced to resign from the Knesset after the 'Uvda' investigative program found that he had consistently lied about serving in the IDF. Despite having never served in the IDF due to health problems, Peri had claimed for years that he served in the Paratroopers Brigade and had even participated in the Six-Day War.